©Healy Racing Photos Lady Writer stayed on best to emerge on top in the David Trundley Artist Handicap Hurdle at Punchestown. There were plenty in with chances coming to the last in the three-miler as Therellalwaysbeone tried to fend them off. Trainer/jockey Denis Hogan got a good tune from his mount as she pressed the leader at the last and got on top on the run-in for a length-and-a-quarter success at odds of 7/1. 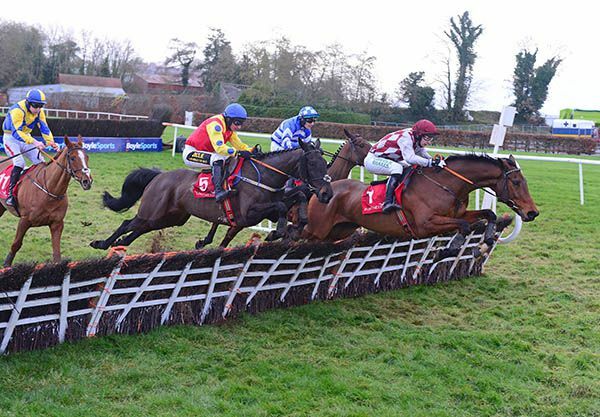 The winner had been in the money on her last three outings, most recently when fourth to Goose Man at Navan last month. Hogan said afterwards:- “It worked out well in the end. I wasn’t supposed to be that far back and told the boys I’d be handy but I couldn’t get her to travel early. “I got a dream run up the inner and I needed a horse on my outside as she hangs left. We tried a different bit today, and she still went left but not as severe. 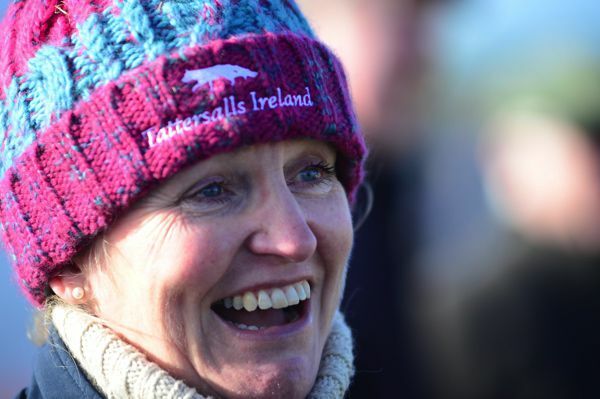 Sarah Dawson’s patience was rewarded when Rubiana got off the mark at Kirkistown Point-to-Point on Saturday.